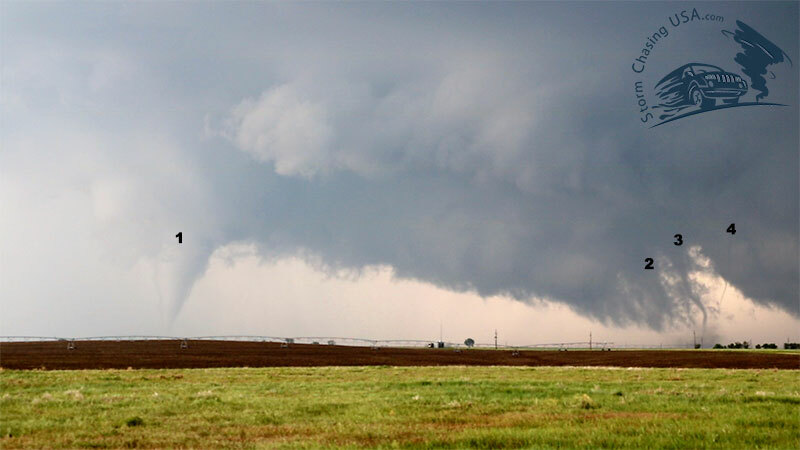 Counting tornadoes – which do you count (and not)? Earlier this year I started a thread on StormTrack about how to count tornadoes seen. I have a spreadsheet on my computer where I list the tornadoes I have seen, for my own personal sake and nothing else. I usually don’t post or brag about how many tornadoes I have seen but I do find it interesting to keep score. At first it was quite easy but after a while, especially after Dodge City 2016 it became very difficult – especially since I didn’t really keep count that day. Last season (2017) was also a season of many ill-defined tornadoes that I didn’t know if I should count or not. 1. 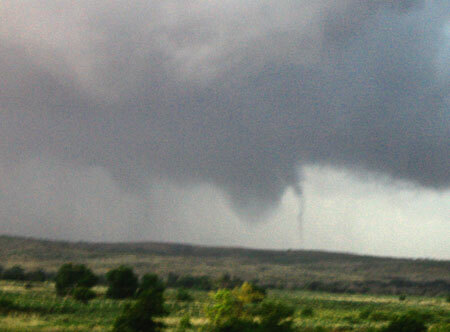 The Dodge City second meso (in the beginning) that spawned multiple vortices. At first I thought I saw “3-4 tornadoes” (1 to the left, and several to the right) but in the discussion afterwards I learned that the multiple ones to the right were just one tornado, but a multivortex one, since they were under the same meso. 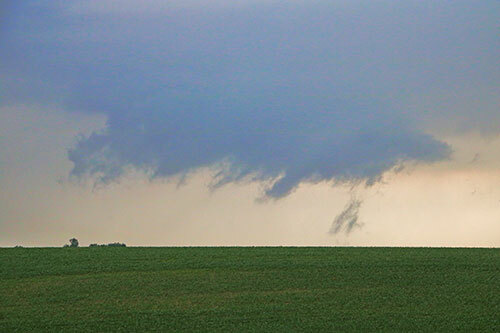 I wonder though, I have seen multivortex tornadoes (such as the one later that day) and it always looks like a wedge with fingers rotating around the circulation. 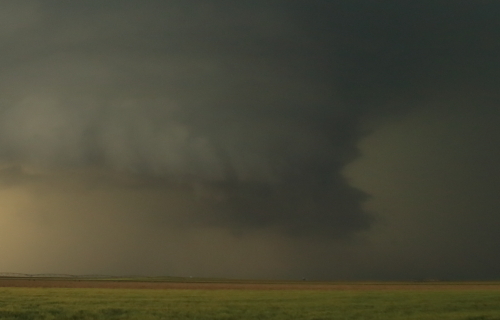 In the second meso of Dodge City, they looked more like rope funnels that stayed put, if only for a short time. In my record, I put these down as 2 (1 to the left, 1 to the right). As can be seen in this photo, I first mistook this as four different tornadoes. In fact, there are two where the right one is a multivortex. 2. Tornadoes that stem from the same mesocyclone which drops a tornado, holds up for about 2-3 minutes perhaps with the same lowering/funnel and then creates a new tornado. An example of this is the Dodge City outbreak when that MASSIVE wall cloud first spawns a multi-vortex tornado that is never fully condensed, it then holds up for 2-3 minutes before it drops the barrel tornado. See 5 min 35 sec into the clip above. 3. Tornadoes in storms that you are watching but where you cannot distinguish a tornado while watching. This could also be cases where you enhance photos when you come home you can see you were in fact looking at a tornado or you hear, through reports, that there was a tornado at that particular time. Usually HP or perhaps night time tornadoes. Included here could also be the off case in which you actually managed to photograph a tornado but did not in fact see it. Example #3. This is a screen grab from a dashcam video of a tornado in 2016. It has been cropped and heavily contrast enhanced. It is quite likely a tornado but as I cannot be sure, I decided not to count it. What would be the point, really? Leoti, KS, 2016. The first tornado of the day took place at this time. There is something looking like a cone funnel cloud here, it could be just a lowering and it could be the tornado. I cannot be sure, so I don’t count this. Water spouts can happen under non-supercellular storms if there is just some shear. I am not sure where the limit goes when a water spout would go under the same definition as a land spout tornado but I believe most water spouts do not count as tornadoes, no matter how amazing they are! This is technically not a water spout, as far as I understand. It is a, super weak, tornado that just happened to cross a lake (it happened under the meso). North Dakota, 2017. 5. 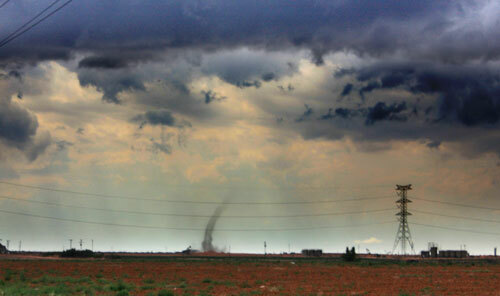 Land spouts – By definition – land spouts are tornadoes so they should be counted as such. 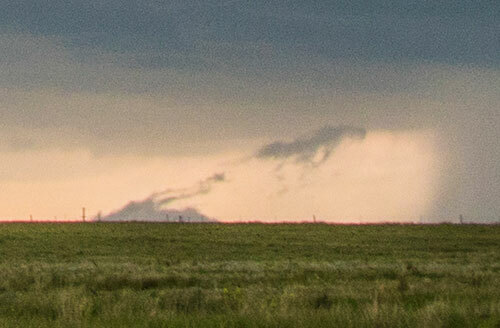 An anti-cyclonic landspout outside of Big Spring, TX, in 2014. 6. Tornadoes of which you can only see a portion (i.e. the top part) and cannot confirm by yourself that it is actually touching the ground, but through SPC or other chasers can confirm it was in fact a tornado. During the CO/WY/NE outbreak in June 2017 there was a tornado reported at this point. 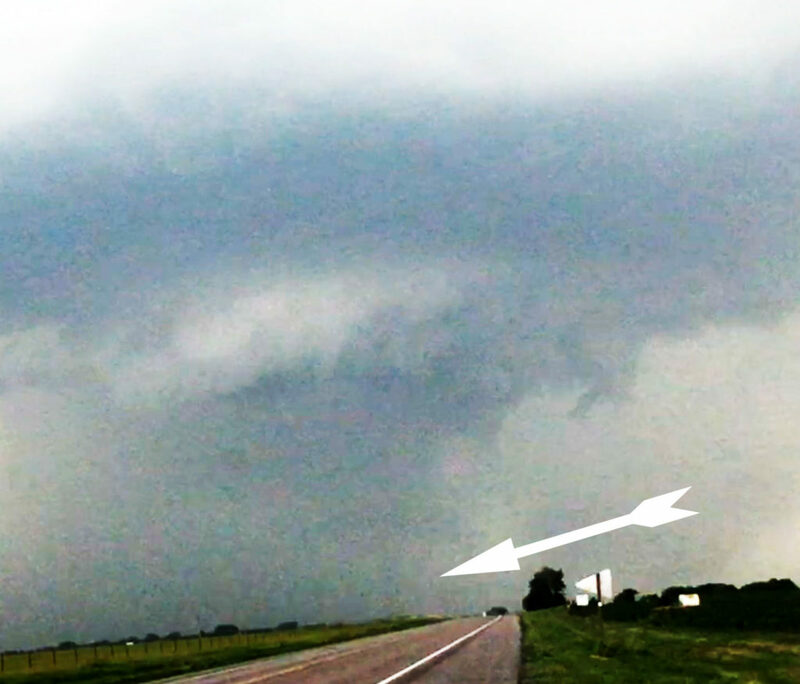 This could very well be a photo of the top part of that tornado but as we have no real evidence I did not count it. 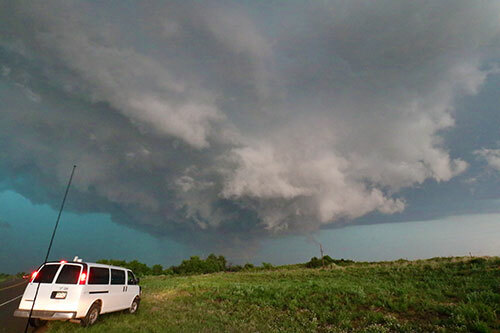 A tornado was reported from this supercell at the time when were here, Waynoka, Oklahoma, in June 2018. It could also have been just after we left. 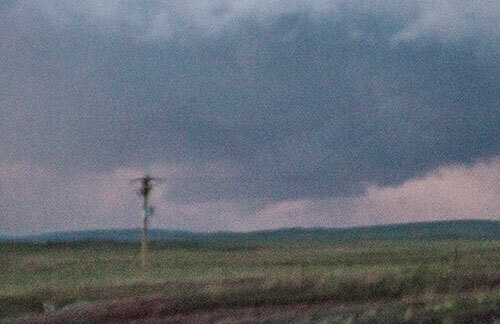 From our vantage point we didn’t see any rotation on the ground and could not confirm it ourselves. We can’t tell if this is the actual time of the tornado (or maybe a minute before) and even though we could be looking at the top part of it, we can’t be sure so the call is: No Tornado. 7. Tornadoes of which you cannot distinguish visible rotation on the ground (perhaps because you are too far away) but you can see a funnel “pretty much” all the way to the ground. No confirmation by other chasers or SPC. Usually this applies to spin-ups and short lived bird farts. This was my second tornado ever. 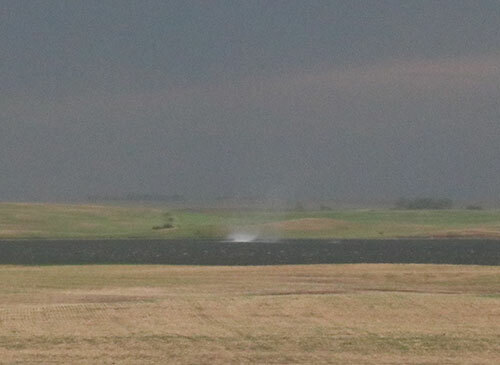 We were too far away to see rotation on the ground and the tornado was not fully condensed all the way down. It seemed highly likely that it was in fact a tornado so I count it. This is from the Canadian, TX, tornadoes of 2015. 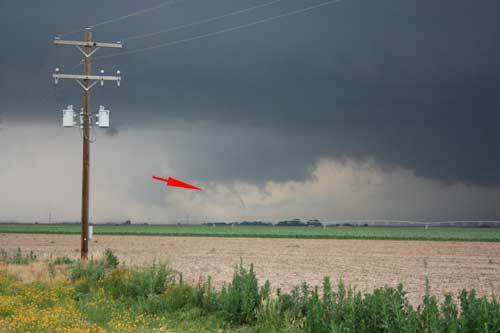 One of the tornadoes had a very brief satellite tornado as can be seen in this photo. It is not a multivortex tornado so I count this as two: main and satellite. 9. Questionable funnels and tornado like-features. I never brought this up in the thread as I am sure you do not count this as tornadoes. Just for the sake of it, I add it here in the blog post. This is a reference to all weird features you can see that may, or may not, be tornadoes. Colorado Springs, just before the CO/WY/NE tornado outbreak in June 2017. It could maybe be a landspout or maybe a gustnado. It sure does look like a funnel and some debris on the ground but the funnel is in some sort of rope-out stage in that case which seems weird. We have no idea what it was so: No Tornado. Suspicious feature under a wall cloud. No apparent rotation but a transparent funnel-like feature. Quite likely not a tornado. This is just an interesting talking topic among storm chasers and I don’t really care too much about it but please leave a comment what you think about these examples above!